VoloPerVidi | Fast Is Fine, Accuracy is Everything. 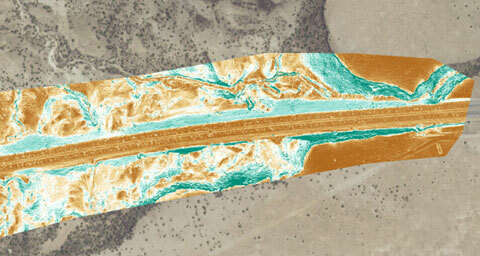 As one of the first companies in New Mexico authorized by the FAA to use sUAS/UAV's also known as Drones for Surveying & Remote Sensing Practices, Volo Pervidi LLC looks forward to providing you with stunning, accurate, and timely data that can help to speed up your project cycle, minimize safety and risk concerns, and increase your bottom line. Using Aerial Drone Photogrammetry or Drone LiDAR, Volo Pervidi LLC can collect and generate topographic data to meet your project design and analysis requirements. All of our generated point clouds are tested to meet ASPRS accuracy guidelines to ensure our data meets the specified accuracy requirements. Using the latest and most advanced Inertial Measurement Unit instrumentation combined with RTK satellite positioning Volo Pervidi is able to offer LiDAR Data from Drones that is both accurate and dense. This allows us to offer an aerial solution when vegetation and other constraints will not allow for photogrammetric applications. At VOLO PERVIDI, our ownership and management team is comprised of professional engineers, surveyors, developers, construction managers, and finance professionals. We understand the importance of accurate, on-time, and cost effective solutions and have the expertise to manage and interpret the data that matters to increase your bottom line. 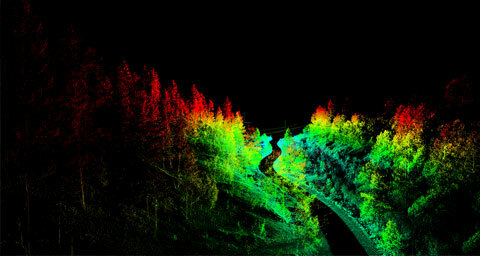 Steep terrain combined with dense vegetation rules out typical drone surveys using photogrammetry however Volo Pervidi offers Drone LiDAR collection that allows us to collect in environments where typical manned flight is not feasible or cost effective. 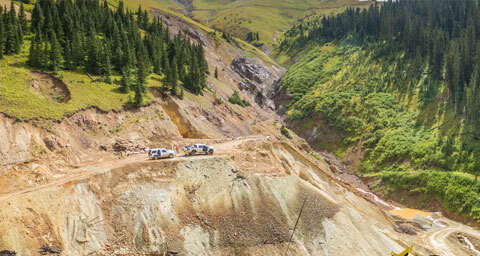 Gold King Mine: Silverton CO.
After the disastourous spill at the Gold King Mine a survey was quickly needed to address the issue and prevent further hazards downstream. Volo Pervidi LLC was hired to perform an aerial drone survey of the location of the spill as well as perform a LiDAR Scan of the mine portal. With drainage and erosion issues being observed on the interstate, Volo Pervidi LLC was hired to perform multiple Drone LiDAR surveys and aerial photogrammetry surveys to monitor the interstate for local and global movement.